Nashville, Tennessee (November 3, 2016) AG Publicity artists received some of the top honors last evening at the 2016 SGN Scoops Diamond Awards. 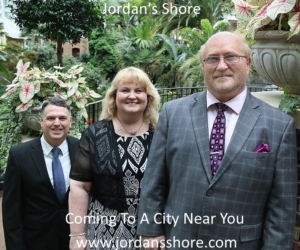 The Annual Awards were held last night as a part of the Creekside Gospel Music Convention at the Smoky Mountain Convention Center in Pigeon Forge, Tennessee. Dove Award-winning family group Karen Peck & New River took home two awards last night for Trio of the Year and Mixed Group of the Year. The Williamsons also were awarded two trophies for Favorite Song of the Year and Favorite Album of the Year (for “Shout” and Tell Somebody respectively). “Such an honor to be awarded with Album of the Year and Song of the Year at the 2016 Diamond Awards! Thank you Lord for this honor and thank you all for voting for us.” an excited Donnie Williamson exclaimed. Country/Bluegrass hybrid group HIGHROAD won the Diamond Award for Christian Country Group of the Year, while Jeff Stice won Instrumentalist of the Year. 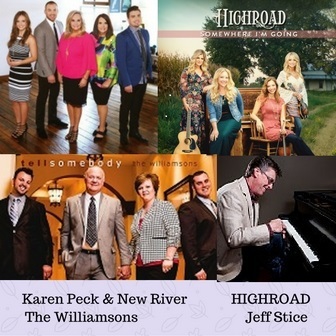 AG Publicity represents an award-winning roster of artists including Karen Peck & New River, The Williamsons, HIGHROAD, Jeff Stice, Michael English, The Browders, Wilburn & Wilburn, Johnny Minick with Goodman Revival, 11th HOUR, Steve Ladd, The Freemans, and more.